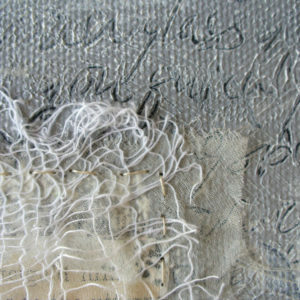 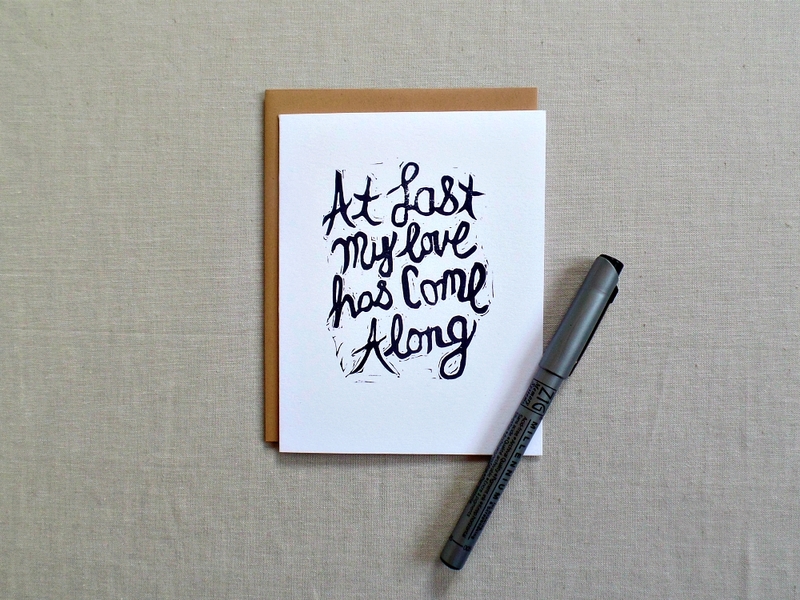 At last my love has come along – the song, Etta James’ voice, pure romance! 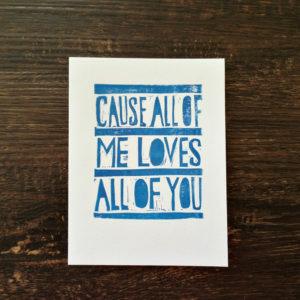 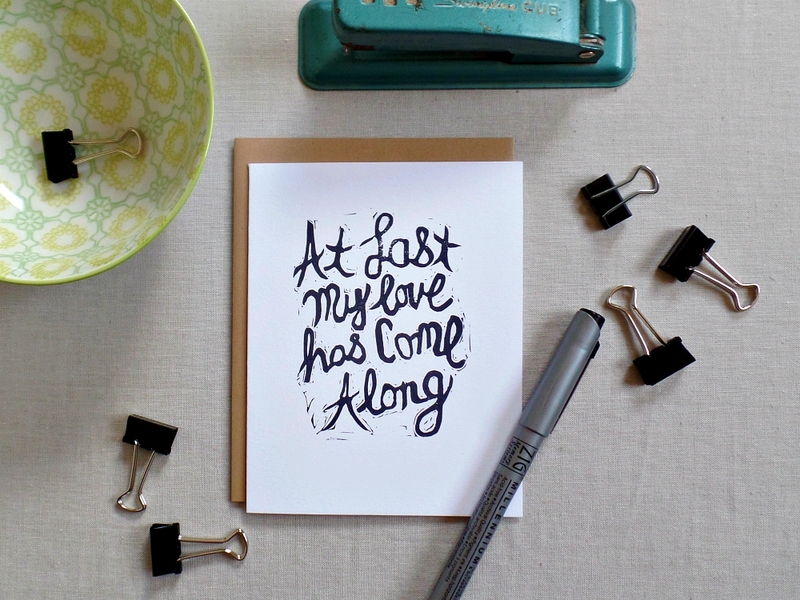 This hand printed card would be perfect for your wedding or anniversary! 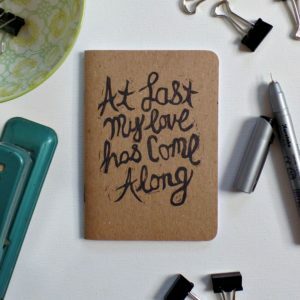 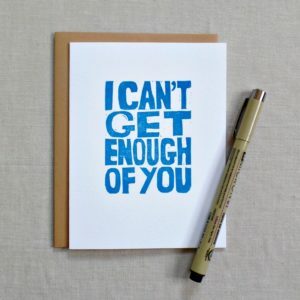 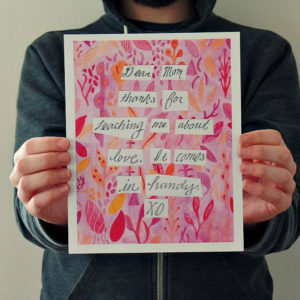 It would also make an awesome birthday card for your boyfriend or girlfriend! 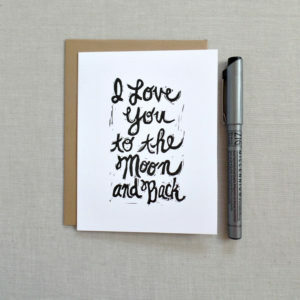 This romantic card is hand printed by me in black ink on a sturdy white card. 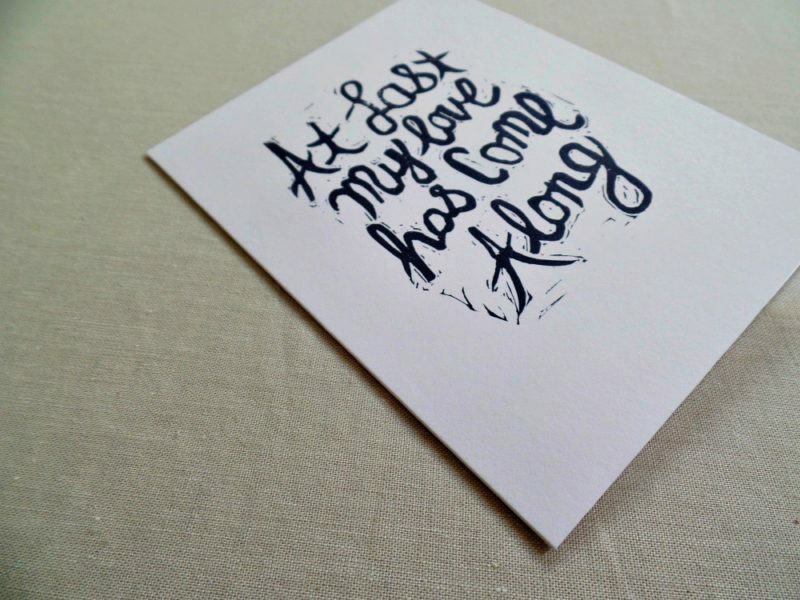 The block used for printing, was designed and hand carved by me in an imperfectly perfect script. 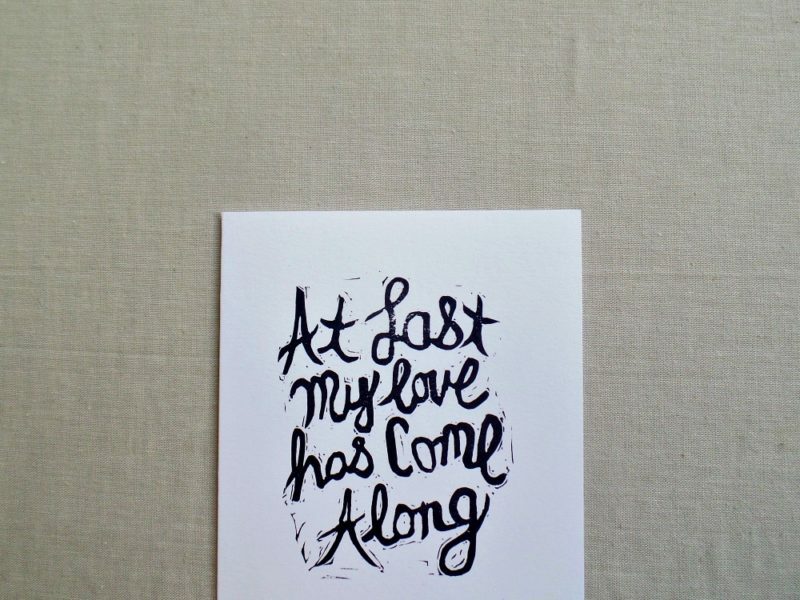 It reads – At last my love has come along – the song lyrics famously sung by Etta James. 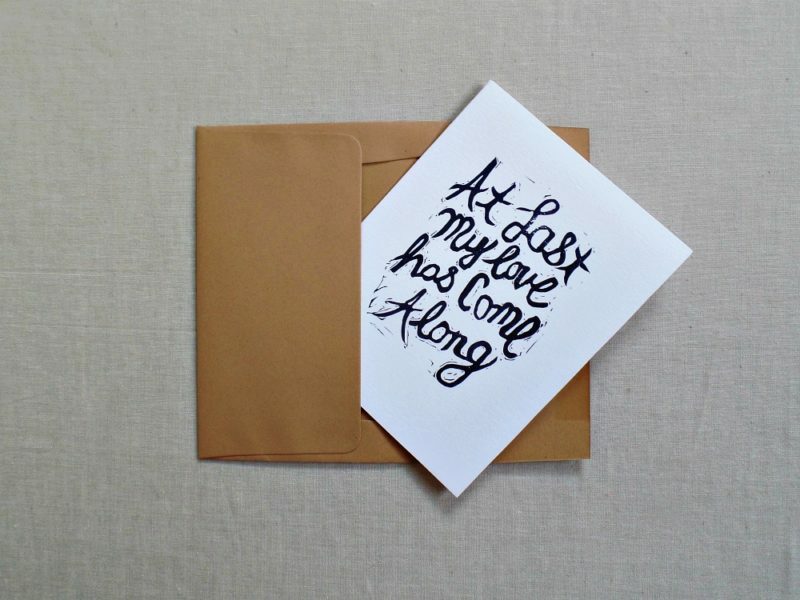 My hands have been in every step of the creation of this card from folding and cutting to creating the stamp to printing. Each of those steps is filled with love and care.